Sculptress, artist, writer. Fearless in the face of technology. these are just some of the things I've learnt about Gloria Loring in our collaboration over the past few years. 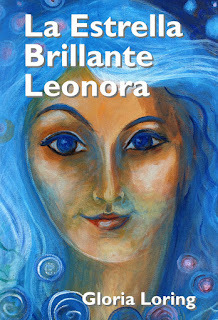 It all began with her first mystical children's book, Shiny Star Leonora which is now available in Spanish for her friends, family and wider audience in Spain as La Estrella Brillante Leonora (http://miltoncontact.co.uk/La-estrella-brillante). It is actually her fourth book, part of a series. Not content to rest on her laurels, we are currently working on realising her fifth, and a sixth is flowing from her pen and paintbrush. The Spanish edition brought us back to re-membering and re-discovering the beautiful paintings that illustrated Shiny Star Leonora. When we first broached the subject of illustrations for her book, Gloria blithely said that she would paint them, what did we need? I was not prepared for photographs of the partially impasto acrylic paintings that evoked the worlds she was describing in her words. Gloria has created an evolving series in which Star spirits look down from the heavens with innocence and longing to the beautiful garden that is our world. Visiting our world they learn more about what is important for them to develop emotionally and spiritually by experiencing life as living beings, from butterflies, birds to peacocks and dogs. Their lives might be short or long. Death is simply a metamorphic stage through which they regain their spirit existences, a little wiser, yet yearning to return and live amongst us again. 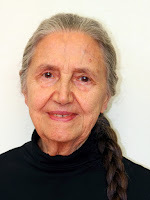 Gloria describes herself "Now, in my silver years, I can enjoy life to the full and follow inspiration when it comes!" 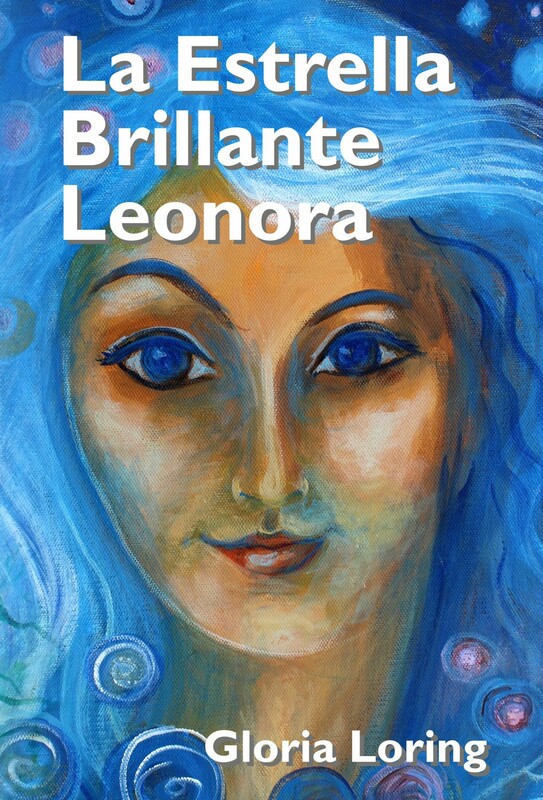 I think she is the embodiment of her work - Shining Star Gloria - Una Estrella Brillante.